In today's dynamic publishing landscape, collaboration, sharing ideas and helping promote each other's work are crucial to the success and validation of the independent author. But sometimes even that's not enough. Mastering how to create "a buzz," becoming your own publicist . . . these are essential tools for the indie author who wants not only to survive, but thrive. It's why I'm excited that Sonia Marsh, an expert at guiding authors how to combine book sales with platform, is presenting a workshop brimming with tips. This is Sonia's first East Coast workshop and it is being promoted through the Women's Writing Circle. The Author Entrepreneur: How to Sell Books and Build A Platform is open to the public, men and women alike, who have dreams of publishing their work or who already have, but feel stymied or frustrated by the challenge of breaking out among the tsunami of titles flooding the marketplace. "Successful authors become entrepreneurs. They also focus on Their Brand. I believe we are fortunate to be writing and publishing books in this day and age. With so many options available to us, we can make ourselves visible to readers, both online and offline. We can promote our brands without spending a dime. Notice how I used the term “promote our brand” rather than “promote our book.” How come? 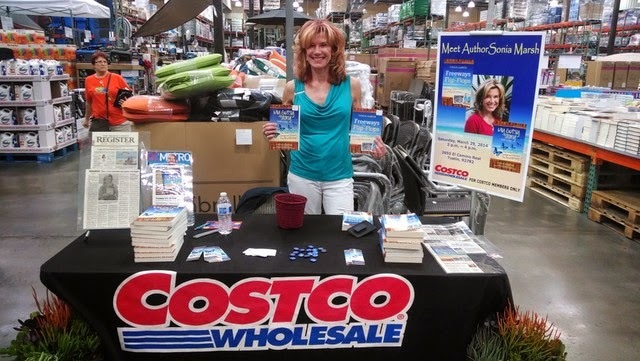 Well, indie (independent) or self-published authors have to become entrepreneurs if they wish to sell their books in book stores, Costco and other large retail stores. With the dramatic increase in indie-published books, it is crucial for all indie-authors to step-up to the competition, and to view themselves as entrepreneurs, rather than just writers. If we look at statistics, Bowker reveals that the number of self-published titles in 2012 jumped to more than 391,000, up 59 percent over 2011. Add to that the number of traditionally published books, and we are now competing against 600,000 to 1,000,000 new books published each year. As an indie author, publisher and now a “gutsy” book publishing and marketing coach, I’d like to share what’s worked for me, and what I encourage writers to think about when they start their journey towards becoming a published author. Since most of us are not celebrities with tons of fans, press opportunities and a full-time publicist to book us on national TV shows, our biggest problem: Discoverablility. (Another popular term mentioned at the IBPA conference.) As the experts mentioned: It might be easy to write a book; the hard part is selling the book. So the question we need to ask ourselves is: How can we publish and market our books professionally, on a small budget? I’m happy to inform you that there is a solution. You do everything you can to become your own professional marketing department and your own public relations agency while keeping those high standards of professionalism. Start marketing the minute you write the first word of your manuscript. I realize this may sound a little crazy, but this is the way to build your platform before your book is published. Marketing guru, Seth Godin, recommends starting your blog at least three years before you publish. I'll be going over how to build relationships, establish a social media presence and networking in your community at the workshop. In order to compete with other books, please don’t skimp on editing. Hire professional editors (developmental editors, copy editors and proof readers.) I don’t care if your friend is an English teacher, manuscript editing is a separate profession, and developmental editors know about the narrative arc and story structure. At the workshop, I'll be talking about interior formatting, book covers, purchasing ISBNs, networking and more. Now that you have a book to sell, it’s important to schedule as many book signings as possible. I started with my favorite Peets Coffee shops in Orange County, CA. I found out that when I speak, I sell more books. We'll talk about the places that you can contact to sell and showcase your book. Relationship Building both online and offline, is key to getting to know local journalists, radio and TV journalists. We'll talk more about this.Thanks to getting to know a couple of journalists on FaceBook, I was able to land an interview and a front-page article in the Orange County Register. This turned out to be one of the best promotional tools, and a year and a half later, people still remember the article. Keep marketing. I'll share with you several strategies including workshops, webinars, Google+ hangouts, Publslush and YouTube videos. Have fun and become passionate about connecting with others, and remember to ask for what you need. Most people will say yes. Hope to see you on May 8. Best wishes, Sonia. 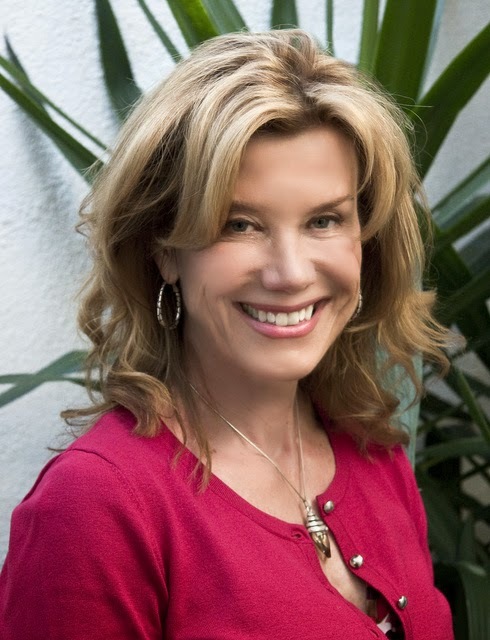 Sonia Marsh, a resident of Orange County, California is the award-winning author of the travel memoir Freeways to Flip-Flops: A Family’s Year of Gutsy Living on a Tropical Island and founder of the “My Gutsy Story®” series. 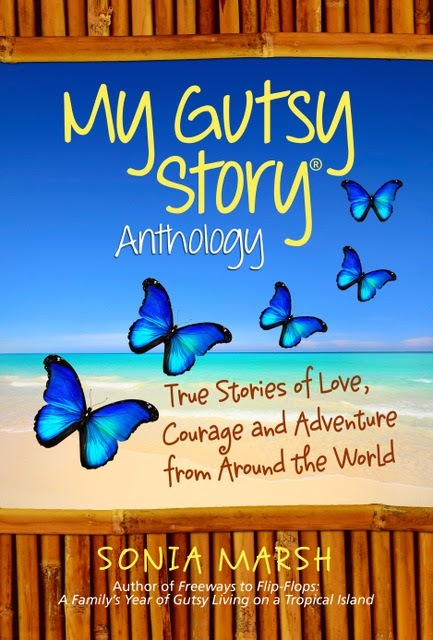 The first anthology in that series, My Gutsy Story® Anthology: True Stories of Love, Courage and Adventure From Around the World, was a silver honoree in the 2013 Benjamin Franklin Digital Awards.Sonia offers "gutsy" book coaching to authors, as well as Webinars and Workshops. Contact her at: sonia@soniamarsh.com or visit her website: http://soniamarsh.com. Subscribe to her free "Gutsy" newsletter and receive two bonus prizes.